We are meeting to need of customers by offering best Single Hydraulic Preheater. Light weighted this preheater is best in quality and can be obtained from us in easier way and in safe packing. Professionals offer hydraulic unit in market after proper inspection on numerous patterns. These hydraulic units are damage free. 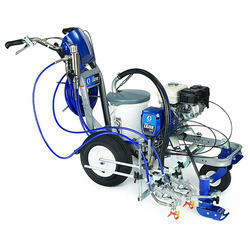 We bring forth applicators, which are basically thermoplastic road marking equipment. Made using high grade raw material, these products are in conformation with the defined industry standards. Simple to use, these have low maintenance requirement and exhibit unmatched efficiency. Further, these are provided with wheels, so that these can be moved easily. 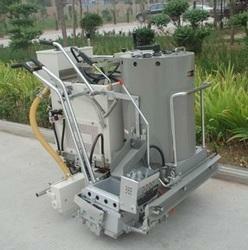 We are largest supplier and importer of Thermoplastic Road Marking Machine.